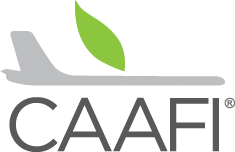 Agenda and Presentations | 2014 CAAFI General Meeting | Kallman Worldwide, Inc. Photos - DC 2014 NEW! Steve Csonka will provide some introductory comments, and then principals of CAAFI’s Sponsors and Public-Private Partners will share their perspectives with the group. Panel will provide summaries of the current and upcoming efforts intended to enable broad development and commercialization of sustainable alternative jet fuel for the aviation enterprise. A moderated discussion on financing challenges, potential mechanisms and recent progress on funding approaches for the industry. Four speakers, moderated by Don Schenk of ACA Associates, Inc. In Plenary, Work Team leaders will provide summaries of the break-out sessions of the previous day for the entire audience. CCAT/CT – Tom Maloney, Director, Technology, Research & Applications, CT Center for Adv. Tech. Discussion of elements of a true partnership approach in the United / AltAir deal- openness, flexibility, fairness. Panel will discuss their structures and approaches, and will provide summaries of the current and upcoming efforts being pursued in activities around the world. AIREG (Germany) – Joachim Buse, Vice Chairman, Av. Init. for Renewable Energy in Germany e.V. Stephen Kramer moderated discussion: What is missing, what should be prioritized, and how these relate to General Meeting discussion? 2. If any particular pathway is unavailable, can either lengthen time slots or substitute “co-processing” pathway. 1. OEM Review Panel and FAA CLEEN II & COE presentations intended to provide background on concepts being discussed to improve process to help round table discussion that follows of Cheap Oakleys. 2. Round Table Discussion is intended to highlight challenges and lessons learned from pathways as they progress through ASTM D4054 process. Breakout will consist of moderated, open discussions around several identified challenges and gaps. Finance: Building off the dialogue of the just-completed plenary panel. o How to balance the economic benefits of comingled storage vs the marketing value of segregated storage? What is missing, what should be prioritized? · Can external communications be used to strengthen projects for all stakeholders? How?